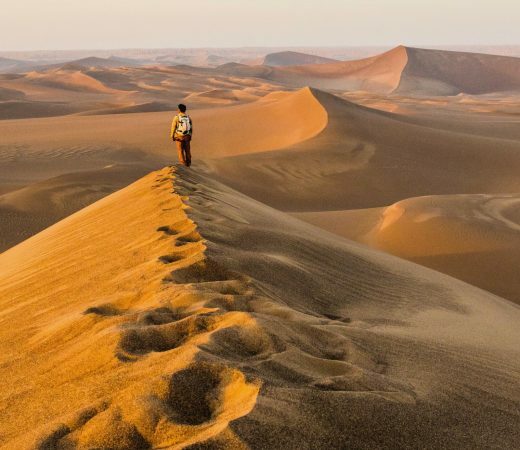 Trek across the Dasht-e-Lut, and discover an otherworldly landscape of star dunes, shifting sands and wind-hewn kaluts. Home to the hottest recorded spot on earth, its soft sands and towering rock sculptures are the setting for an epic desert traverse. 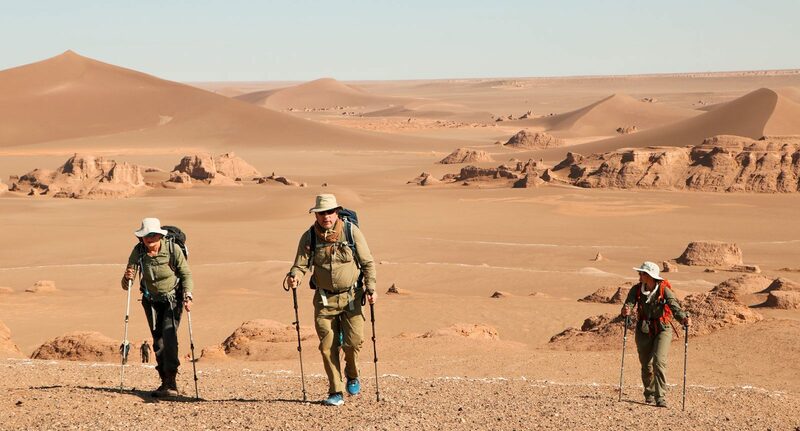 Whether you’re a desert expedition veteran or trekking enthusiast yet to succumb to the beguiling enchantment of desolation; follow in the footsteps of Marco Polo and William Thesiger to take on the tantalising challenge presented by the burning plains of Iran’s Great Sand Desert. 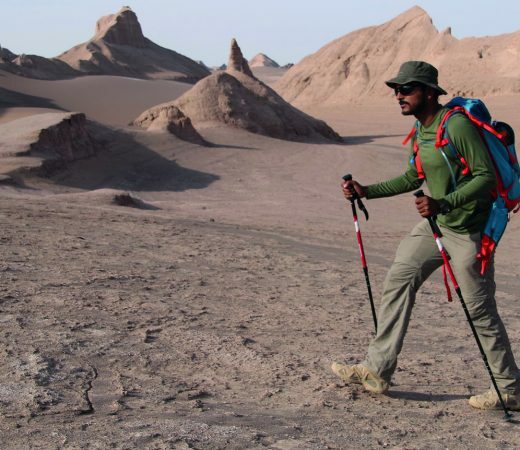 The aim of this epic desert expedition is to carry out a 220km east to west traverse of Iran’s Lut desert, also known as the Dasht-e-Lut. 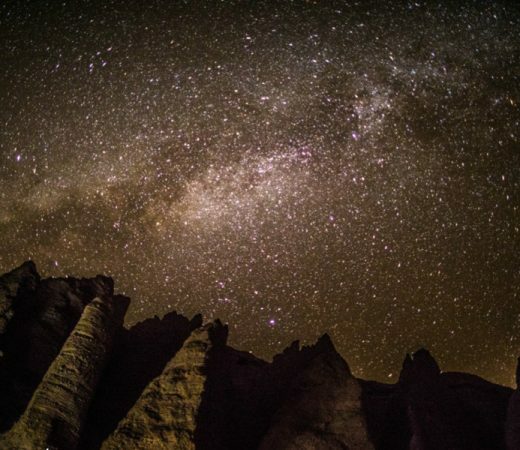 As a member of this pioneering expedition team, you’ll pass through an ever-changing landscape of imposing sand dunes, some shaped like stars which radiate out across the desert plains. Traversing dunes, rock corridors, kaluts, meteorite fields and rocky plateaux, this expedition will be carried out by the team on foot, with support and water supply from 4WD vehicles. Secret Compass’s first expedition to the Lut was so unique it featured in National Geographic in 2016. This traverse remains a rare achievement, the desert having only ever been crossed on foot by a handful of adventurous travellers. 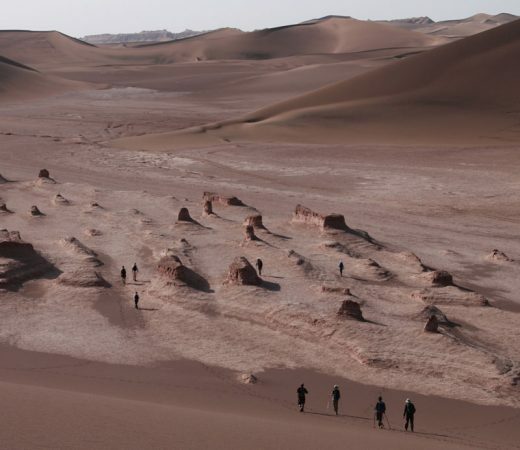 If you’re passionate about Persia and intrigued by Iran, experience the geology, the desert stars and the solitude on this boundary-pushing desert venture. Follow in the footsteps of Thesiger (1964) and Marco Polo (1271). Trek the world’s largest kalut system. Cross the infamous ‘plain of pain’ (named by Secret Compass). Explore the region that’s home to the world’s hottest spot. Pass through former Silk Road haunts. See Kerman, One of Iran’s oldest cities. Discover Tehran after the expedition. “A fabulous adventure to cross the Dasht-e Lut made so much more by also being able to experience first hand what a wonderfully surprising country Iran is and the unparalleled friendliness of the Iranian people. If you have a bucket list the Lut should at or near the top!” – John Kelly, 2017 teammate. The thermal centre of the earth lies near this expedition’s route. This claim is based on NASA’s satellite data of land surface temperatures which claims that the hottest ground temperature on earth ever recorded (70.7 °C) was in the lowest area of the Lut desert in 2005. 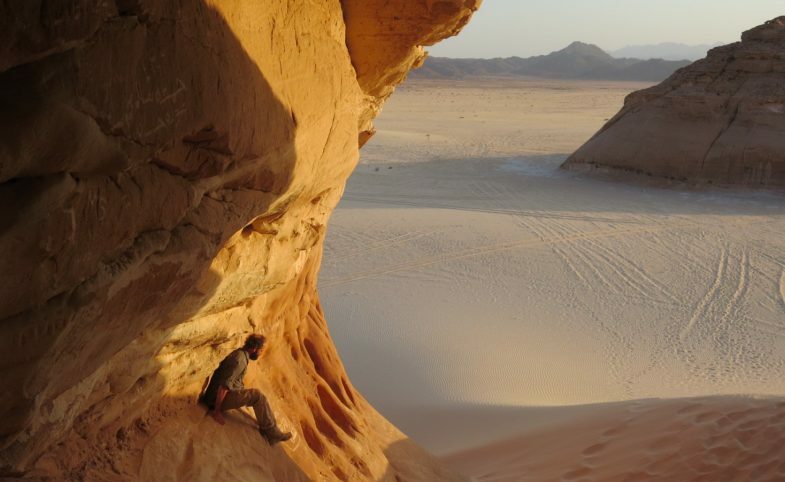 Although we will not be trekking in temperatures nearly as high, the Lut Desert is an important research area for understanding many physical, chemical and biological processes of the Earth and space. The Lut covers a region of some 200,000 km2. it is surrounded by the South Khorasan Province, Sistan va Baluchistan and Kerman. It is around 185m below sea level in parts and hosts a varied display of wonderful desert-related structural phenomena and features. It experiences deadly high temperatures in the summer months and very little precipitation annually (under 5cm per year). 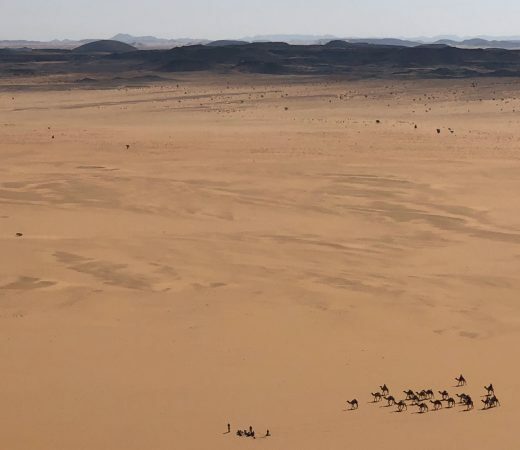 Much of the desert is designated an abiotic environment as it cannot support any life although previous expedition teams have spotted wild camels and lizards. 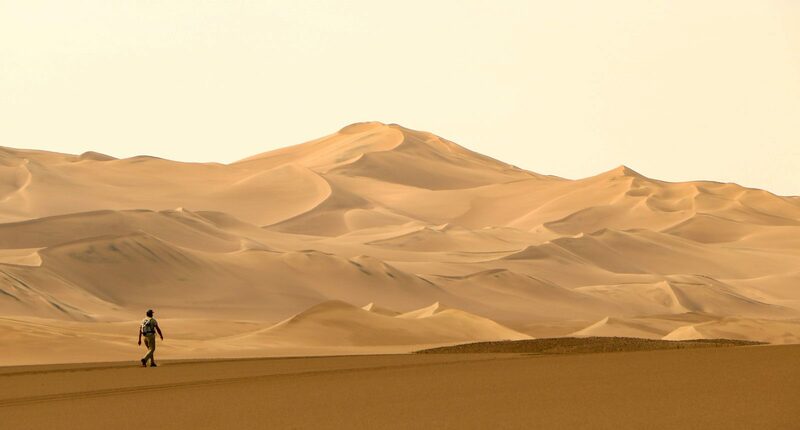 In the eastern Lut there are high sand dunes and star dunes – towering pyramids that are among the highest in the world. They are void of life and have ripple marks like the ocean floor, created by the shifting winds. Kaluts, also known as yardangs, stand like enormous sand castles. They are like broken teeth jutting up from the sand and punctuating the landscape as far as the eye can see. According to UNESCO, the Lut’s widespread Kalut system is the longest in the world at approximately 120km long and 80km wide. Formed by wind erosion, they can reach heights of 80m, although most are smaller hills and long elongated furrows. Between them there are salty desert lands similar to ploughed lands, with a hard mineral base. Teammate photography from the Lut teaches us more about this incredibly diverse terrain from one year to the next – it is truly a jaw-dropping environment to be able to trek through! The Lut has a high potential for finding meteorites due to its persistently dry climate. A small collection that has come to be known as the Valley of Meteorites has been discovered approximately 100km from the village of Deh Salm. In the central Lut, massive flat plains can be found, covered with unusual shapes where saltwater has accumulated and been evaporated by the ferocious sun over the years. The route encompasses a smaller example of this phenomena in the form of an evaporated inland lake, whose banks are covered with these salt-encrusted patterns. Award-winning travel writer Mark Stratton joined Secret Compass’s first ever expedition to cross the Lut in 2015. As a world first endeavour, this Iran expedition earned the attention of National Geographic and Mark’s story and images appeared in print and online in 2016 under the fitting title, Iran: Mission Impassable. 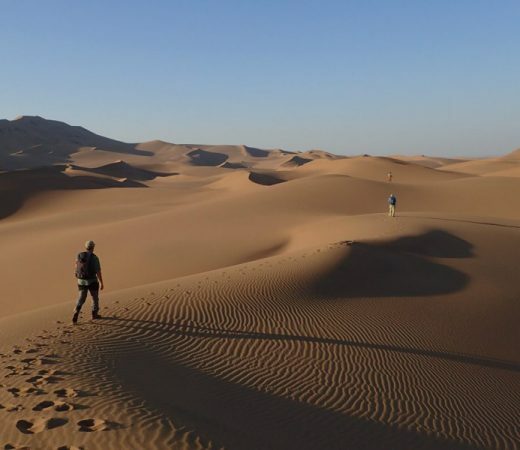 This is great preparatory reading for anyone considering stepping up to this desert challenge in 2019. A sprawling metropolis set against the same formidable backdrop of the Alborz; Tehran is full of surprises. The maze of traditional bazaars wind off smog-filled streets, where the ancient mosques, palaces and monuments of the Persian Empire break up the multiplying concrete blocks. With two nights here, team mates will enjoy time for sightseeing in the city; a great opportunity to take in the symmetry of the Borj-e Azadi Tower and the decadence of the Golestan Palace. 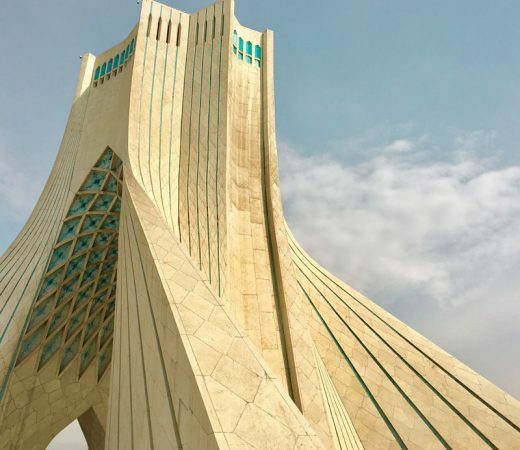 But arguably, the emerging modern face of Iran’s capital is all the more intriguing. Cosmopolitan coffee shops, street food vans and modern art galleries are bustling with stylish shoppers. Perfect for people-watching, while you (hopefully!) soak up the satisfaction of expedition aim achieved. Secret Compass runs expeditions with framework itineraries, rather than guided tours with set daily plans. Read more about Our Approach here. The following is the outline plan for this ambitious desert Iran Expedition Handbook which is available on request or upon application to join the team. All teammates fly into Tehran to arrive by 1200hrs on 3 November. Teammates will make their own arrangements to get to a local hotel (local transport connections are excellent) where the Secret Compass leader will await. The expedition officially begins at the hotel with an introductory briefing, followed by an organised tour of Tehran. Dinner and overnight at the hotel in readiness for an internal flight (organised by Secret Compass and included in cost) to Birjand. In Birjand, the team will meet the excellent local support team and will pack and prepare to commence the desert traverse the following day. 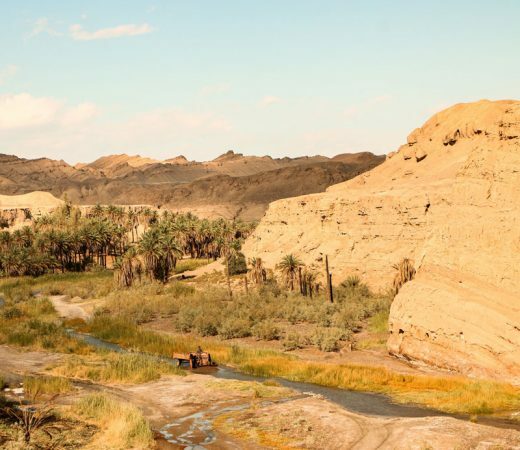 Days three to ten of this epic desert expedition involve trekking across the Lut. You’ll be dropped off at the trailhead then let loose on the desert. This route encompasses many striking desert features as outlined in the Why Go section above. The team’s first obstacles are massive sand dunes rising over 200m high. Progress will be slow as the terrain is arduous, the heat oppressive. Moving east, you’ll pass through the Eye of the Lut evaporated lake and the meteorite valley. Then it’s on to flatter ground, crossing salt plains and encircling star dunes. This is a wholly trekking traverse. The 4WD vehicles are for support only and will make themselves scarce once they replenish the team’s water supplies in the morning. Teammates will each carry daysacks with clothing layers, water (at least three litres per person), lunch and personal items and a share of team med kit. Cooking equipment and the tents will travel in the 4WD vehicles, which will rejoin the team every evening. Throughout the trek, the team will camp in tents beneath the vast desert skies. Needless to say, there will be no showers as all water will be needed for cooking and drinking. Nearing the end of the traverse and west of the main star dunes, you’ll enter into kalut territory. The team will then complete the traverse on foot before (finally!) getting to travel in the vehicles for the journey to Kashit, a small desert village. A sight for dry eyes, Kashit offers a very welcome dose of civilisation at the close of the trekking phase of this the wild and remote expedition. Lut traversed: excellent effort. Following a night and the following morning in Kashit, you’ll drive to Kerman for a proper celebratory meal and a shower, stopping off at sites of interest en route, time permitting. A contingency day is built into the above itinerary to allow for team speeds and the demands of the desert – this really is an exploratory expedition and so teammates should be prepared to flex with the plan as needed. Kerman has a lively bazaar and buildings made of mud bricks, and was a classic stopover for the Silk Route traders. On the penultimate day in country, you’ll fly back to Tehran for the evening and stay in a hotel. The expedition officially ends after breakfast on the final morning, with teammates free to book return flights at any time on this date including early hours. Teammates are responsible for organising their own transfer back to the airport. Secret Compass expeditions are achievable by anyone with a healthy lifestyle and a good level of general fitness. Team members should be willing to be part of a team working together to achieve the goal of the expedition. As a team member, you should have an adventurous and robust spirit. 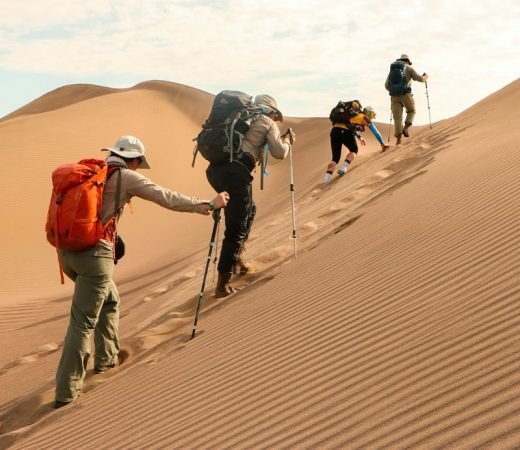 The biggest challenge on this 220km-long desert trekking expedition will be the long trekking days, the heat and the foot care in challenging and often sandy terrain. Trek: up to 30km per day across rocky, sandy and sometimes steep terrain. With a slower start, later daily distances will increase by several kilometres per day but a 25km daily distance is a good rule of thumb. Daily activity: up to 10hrs per day. Carry: up to 10kg in a day sack including water, layers and food. Climate: very hot (up to 35C) and dry, potential sandstorms, cooler nights. All transport as outlined in the itinerary except for airport transfers. Hotel, guesthouse or tented accommodation throughout. Any accommodation, travel or tour guide arrangements outside of the itinerary. As The Plan outlines, there is a chain of transport to get teammates out to and back from Tehran and so start and end dates are not flexible. Most nationalities require a visa to visit Iran, this can be a lengthy process. A visa application advice document will be provided to teammates, with visas remaining teammates’ responsibility. Vegetarians and coeliacs may find they have very limited options in Iran. Feel free to supplement the meals provided with your favourite trail snacks. Give as much details as possible when applying to help us best provision the team. See our Fitness section in Get Ready and the Fitness tab here for expedition-specific fitness advice. Will be carry all kit in the desert? The team will be supported by 4WD vehicles in the desert. Each team member will have to carry at least three litres of water, per person per day, lunch supplies, personal kit (suncream, camera etc) and a share of the group emergency and communications kit. Can we leave a flight bag anywhere? 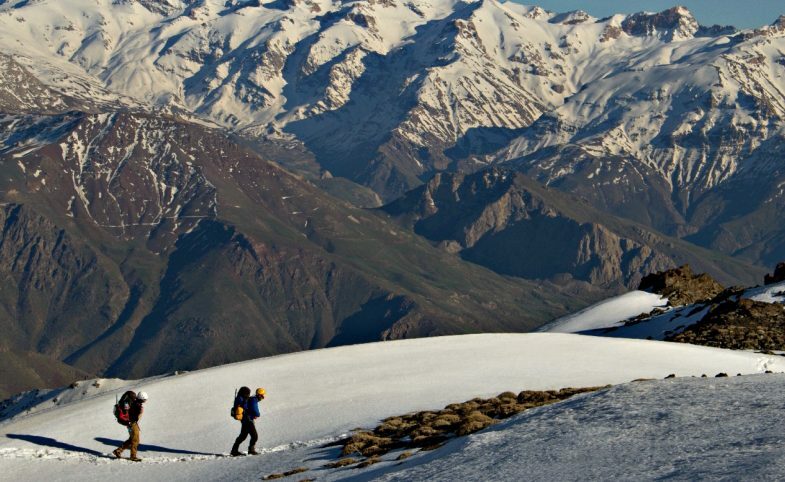 You’ll be able to leave a small bag in Tehran with any items you won’t need during the trek. This will be at your own risk. Can we charge things in the desert? The support vehicles will be equipped with 12v chargers although Secret Compass’s communications systems and in-country support staff requirements will always take priority. Solar panels are a good option for recharging personal equipment in the desert. Come with sensible expectations around being able to charge items. Cameras should not be that affected by the heat and dryness, but if it reaches over 45 degrees they might struggle. Your best bet is to keep your camera in its bag until you use it and don’t keep in the direct sunlight for too long. The main problem is the sand itself. Grains can easily get into the lens systems, particularly compact cameras with zoom lenses. Ones with electronic lens covers are most at risk. The best cameras to use are sealed waterproof cameras which have no external working lenses so no sand can egress them. If using an SLR, then take care to prevent sand getting into a lens housing. Using Prime fixed focal length lenses can help. Take a small paintbrush, a puffer bottle or, even better, a compressed air canister (probably bought in-country if flying in) to blow away sand and grit from moving parts. Take care around the sensor and never wipe this if sand is on the sensor. Take particular care if the wind is blowing or the sand is very fine. There should be signal in Tehran and Kerman. It is very unlikely that you will have signal in the Lut desert. Secret Compass will have satellite phones and radios for emergency communications only. Iran uses a 230V power supply with C/F wall sockets. Women: yes you will. In all public places you must wear headscarves, full-length skirts or trousers and a long-sleeve coat or tunic which covers to mid thigh. Check also visa image requirements, images with hair covered are the norm so you might need to get more done. It will probably be possible to relax the headscarf element in the desert. See further kit information in your Expedition Handbook but essentially, we recommend desert boots, in a brand that fits the shape of your foot. Our expedition leaders recommend Alt-Berg desert boots in particular though shoe choice is personal choice. Can those on an American passport visit Iran? Yes. In addition to filling out the visa reference form and visa application form, those travelling on an American passport will need to provide a copy of their CV and links to their social media profiles. As ever, the final decision in issuing a visa rests with the MFA in Tehran. Israeli citizens will not be issued an Iranian visa. It is often reported that people with Israeli stamps in their passport will be denied visas to enter Iran. Are there animals in the desert? 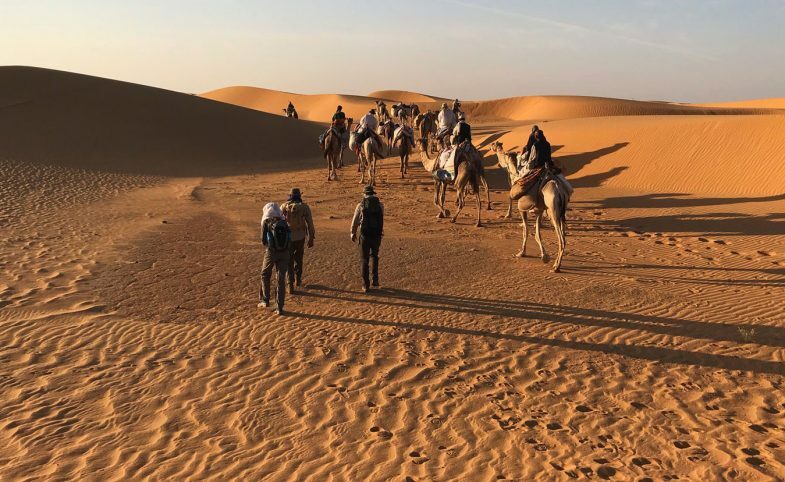 Many parts of the Lut are abiotic and therefore are not capable of supporting life, though some insects, birds and creatures are occasionally spotted passing through with the 2017 expedition team even seeing wild camels. No, your guides will be in charge of driving at all times. No. The sale and consumption of alcohol is illegal throughout Iran and this prohibition applies to tourists as well. Apply for this expedition team using the button below to receive your Expedition Handbook with fuller details. View our FAQ for useful tips. Secret Compass is then on hand to answer any questions or to firm up your place on the team.